The day has finally arrived… Today is day 1 of 5000+ mile, 17 day motorcycle ride. The plans have been made and the fun comes as each day is ridden. Today will be my biggest challenge. I am riding north and heavy rain is moving in from the south. The rain is forecasted for later in the day. I am leaving early to ride ahead of the rain. The best laid plans… It was misting rain when I left but 2 blocks from home it began raining. Out came the rain suit. 20 miles down the road it was raining heavily and continued to rain heavily, more or less, for the next 200 miles. Eventually the sky did clear and the remainder of the ride was what I had hoped it would. There are no stops planned except for gas, food and a little rest. Today I meet my riding buddies for the next 17 days. Larry T. and Larry A. are riding in from Tunnel Hill and Atlanta, Georgia. Larry T. at Route 66 Museum Elk City, OK Photo by Larry A.
Larry A. 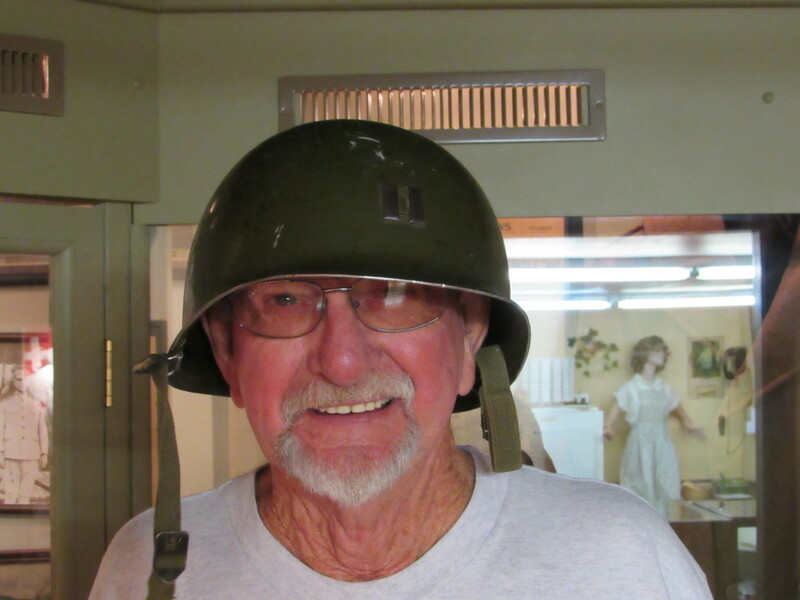 & Larry T. at Route 66 Museum in Elk City, OK Photo by Larry A. Because I left early I arrived at our motel in Canyon around 2:30. The Larry’s arrived a couple of hours later. 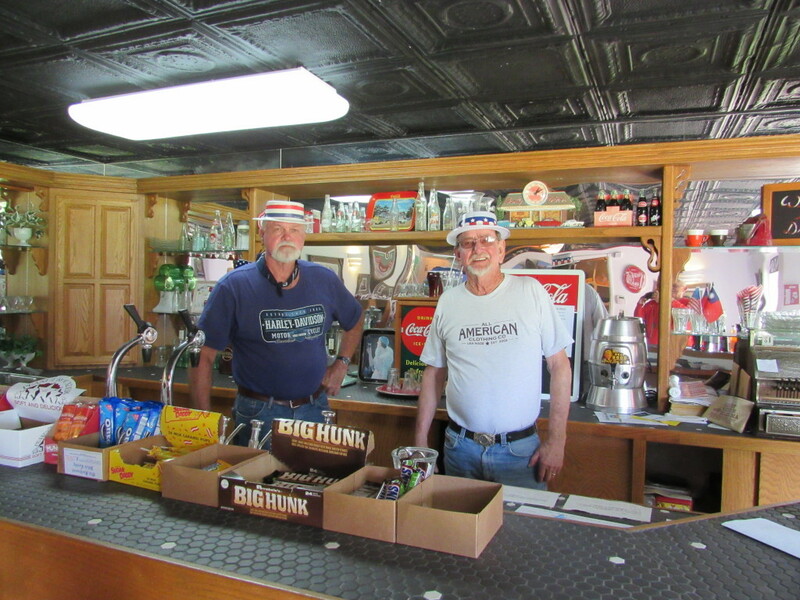 While stopping at the Route 66 Museum in Elk City, Oklohoma the Larry’s met a couple who told them about a show in the Palo Duro Canyon State Park and said it was a must see. The Larry’s wanted to eat dinner and see the “Texas” show. 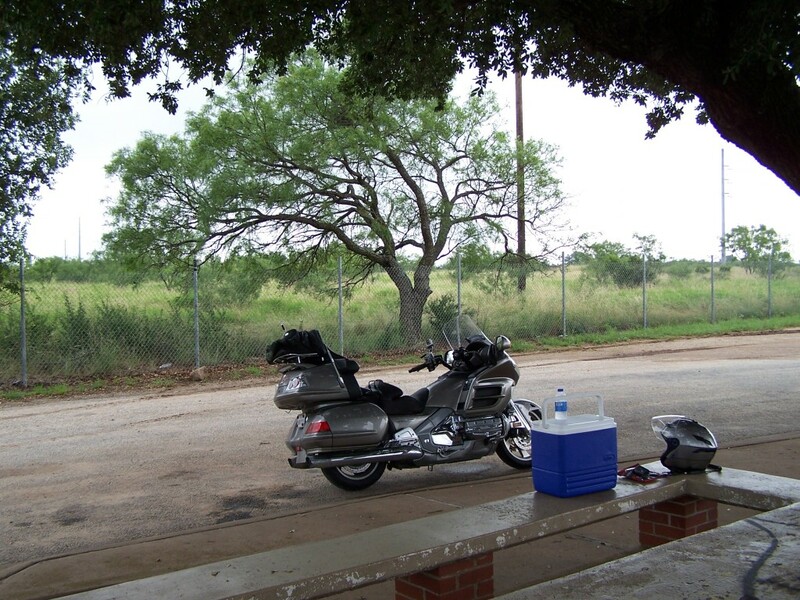 After we got settled in at the motel we rode out to Palo Duro Canyon. I’ve always wanted to see the show and tonight was the night… The Pioneer Amphitheatre, where the shows are put on, is carved out of the natural basin in the Palo Duro Canyon. The Palo Duro Canyon is the nation’s second largest canyon and is the perfect setting for this show. With a cast of more than 60 actors, singers and dancers the show’s fictional characters bring to life the stories, struggles and triumphs of the settlers of the Texas Panhandle in the 1800’s. The story is told through songs and dance with lots of Texas humor dispersed throughout the show. I loved the singers and dancers. Most of the younger cast were college students who got to hewn their talents during the summer while making a little money for college. 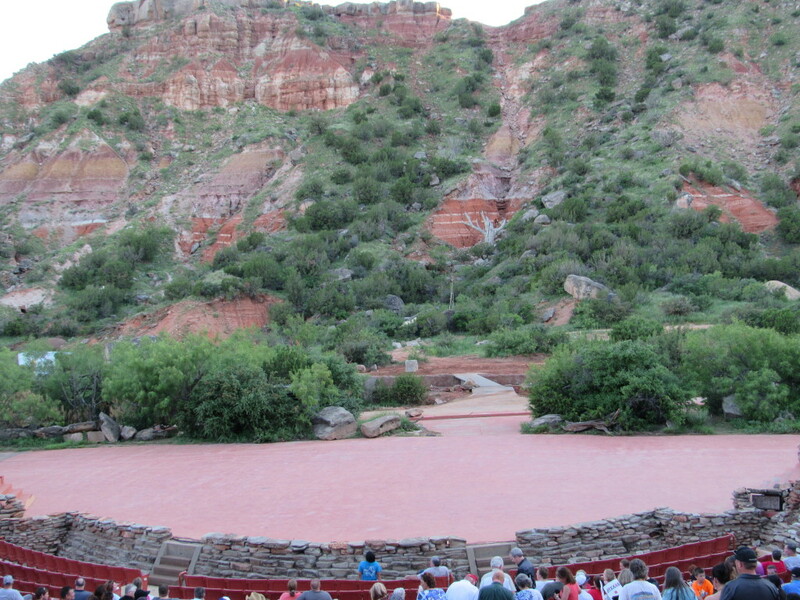 The Pioneer Amphitheatre before the show starts at Palo Duro Canyon Photo by Larry A. 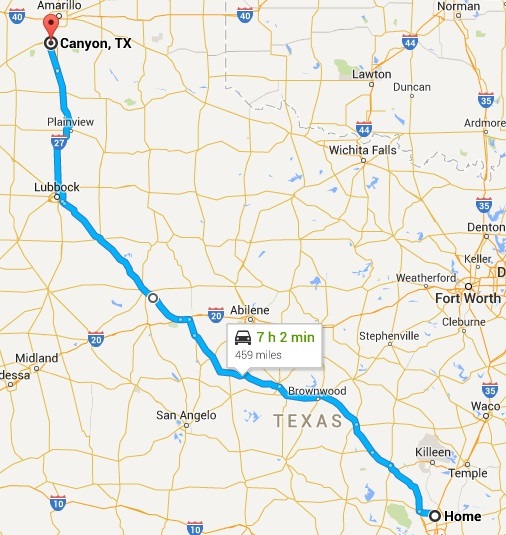 Tomorrow we will be returning to ride through the canyon before heading west down US 60 to Fort Sumner, NM. 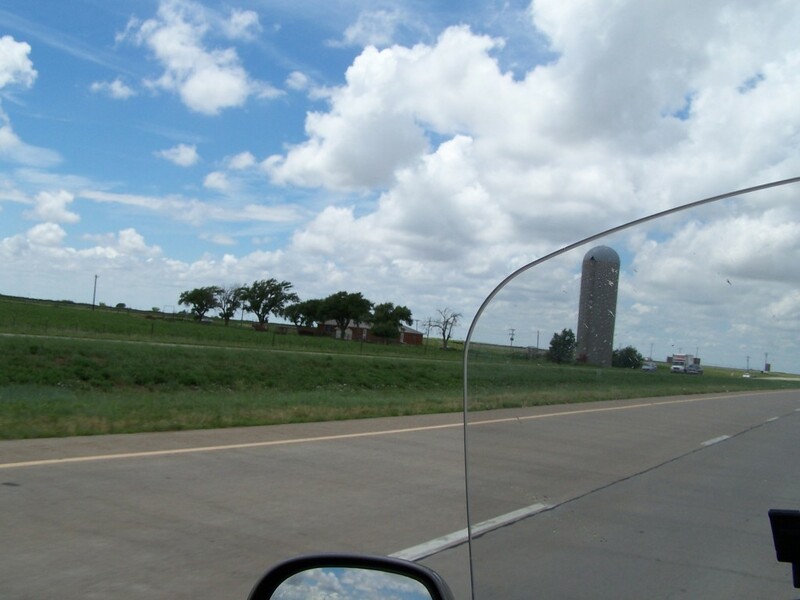 Come follow along as we ride US 60, US 89, US 212 over the next 16 days.